Workflow Management Software is a workflow related process management solution that has been developed to enable effective data, task and document management within a well coordinated work environment. 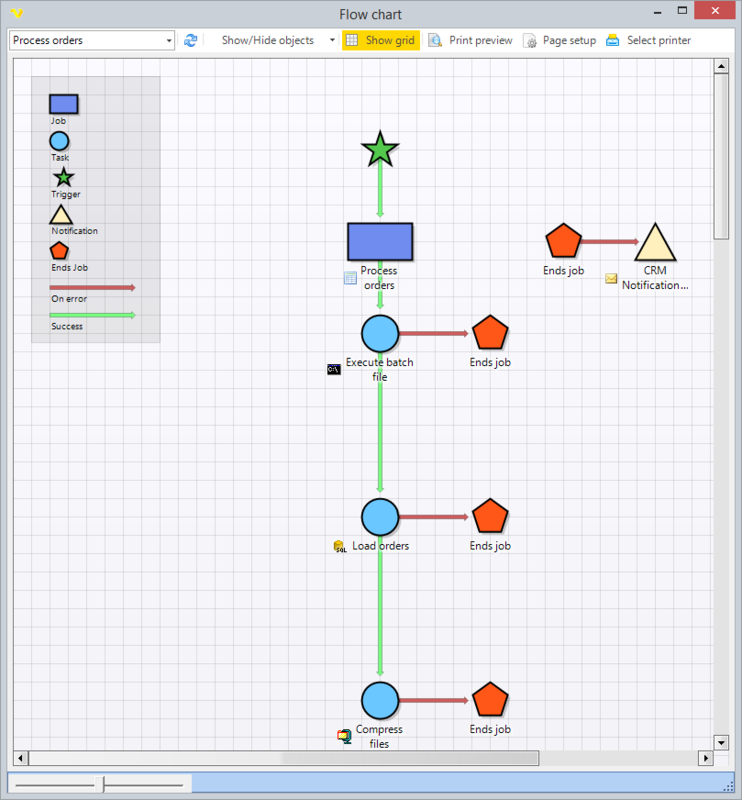 Our Workflow Management Software minimizes It dependency on non-technical users to arrange and modify rules and workflows within a totally automatic graphical user interface. VisualCron provides users with configurable access rights for handling Data Management and Security & Administration. For people who are looking for third-party system integration, VisualCron offers open APIâ€™s and innovative integration adapters like Sharepoint, Outlook, and Active Directory. Work Management Software ensures easy and quick setup using drag & drop Workflow Editor and Excel pattern business rules and forms. We have enabled clients to make seamless adoption with the help of Microsoft Outlook pattern graphical interface. The software is integrated with Microsoft Dynamics, SharePoint Embedded Data, Microsoft Active Directory and Document Management. It will help HR professionals to perform full reporting and analytics for managing workflow in an efficient manner. We have enabled the software with cloud deployment and on-premise options and access from any web browser or mobile. This business-friendly solution can be installed and maintained by business owners on their own. You donâ€™t have to bring your business operations to a standstill as on the job workflow changes are possible. Full support of web forms and complex data related to workflow will be possible once you start making use of the Work Management Software. Our software solution will enable you to define the data flow between the different services you offer. You will be able to automate data processing in an effortless, time bound manner. Our software will enable you to convert data from one format to another in cases where the services you are utilizing are not 100% compatible. It will enable quick incorporation of new services without coding. As a result, you will find access to local and remote services and analysis tools.